Set 200 years before The Song of the Lioness. When she was eight years old, Beka Cooper did the Lord Provost of Tortall a very big favor. In return, he took her, her dying mother, and her two younger sisters and two younger brothers into his house, to raise and educate them well above the poverty-stricken slum where he found them. 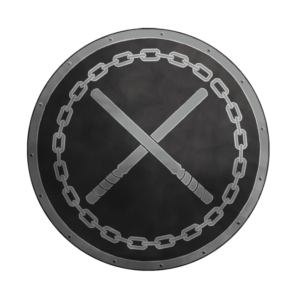 Beka’s brothers and sisters have honorable trades, but Beka? 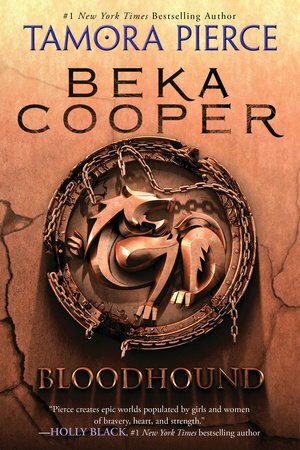 Beka wants to be a Provost’s Guard, or as they’re known in her time, a Provost’s Dog, the most despised, rough-and-tumble law enforcers in the realm. She starts right back where she came from, in the Lower City, because Beka has this funny idea that poor people deserve equal protection under the law. 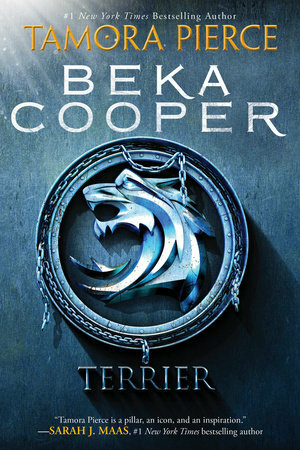 Guiding her steps are Goodwin and Tunstall, two of the toughest Dogs in the capital, who will teach Beka the ropes—if she survives. Walking with her on her rocky are as motley a crew of friends and helpers as ever the Lower City has seen: the Lord Provost himself; Rosto the Piper, sheer lightning with knives, and his associates, the swordswoman Aniki and the hedgewitch Kora; the lady knight Sabine; the ghosts of the dead who ride on pigeon-back; the city’s dust whirlwinds, who collect conversations; a devoted young scent hound, and the strange, purple-eyed black cat Pounce, whose hobby is grooming heroes. Beka is pitch-forked into the realm’s deadliest crimes, from the mass murder of poor workers to conspiracies against the crown. She’ll need all of her wits, all of her friends, and a strong arm with a baton in her quest to enforce the law. 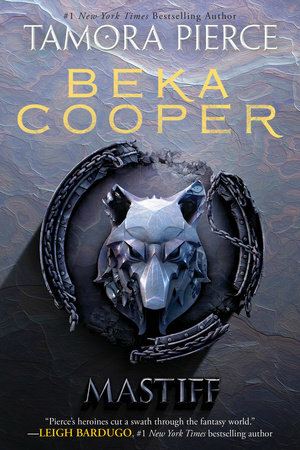 This is the third book in the Beka Cooper trilogy, and Beka is a full-fledged Dog now, but it hasn’t made her job with the law-enforcing Provost’s Guard any easier. On this hunt, she’ll need all her resources, from her bare-knuckled fighting skills to her suspiciously intelligent cat, Pounce.